Rejoice, everyone! It’s time for the premiere of yet another ongoing series of blog posts. 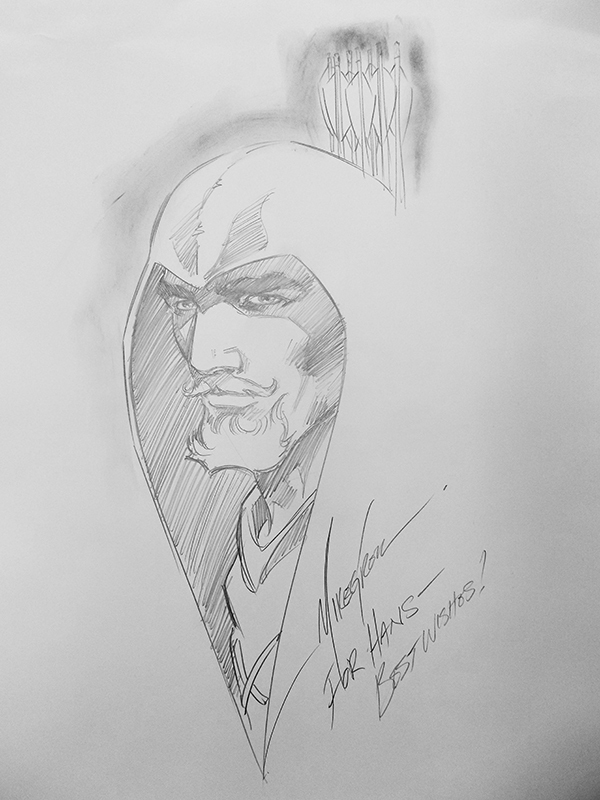 This time around, I’ll be focusing my attention on funny, unlikely, or just plain bizarre cameos that comic book writers and artists, in their infinite mischievousness, have (secretly) incorporated into their works. While none of the examples that I’ll be citing here will be on par with the insane cameos, in-jokes, and references from Alan Moore and Kevin O’Neill’s The League of Extraordinary Gentlemen and some examples will possess all the subtlety of a brick to the skull when it comes to presentation, I’m hoping that at least some of you out there will be pleasantly surprised. 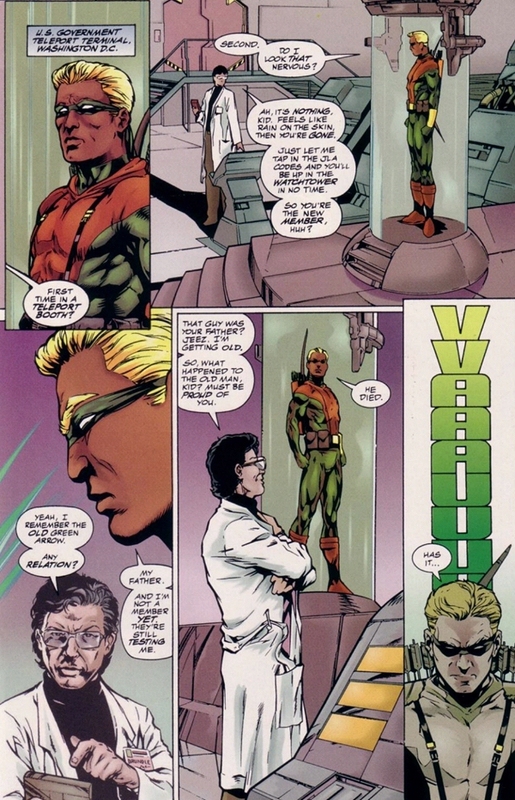 And what better issue to kick things off than JLA #8 (August 1997) by Grant Morrison, Oscar Jimenez, and Chip Wallace, where Connor Hawke, (the then-new) Green Arrow, is seen receiving reassurance about the inherent safety of biological matter teleportation from what might just be the worst possible authority on the subject? Just be glad he didn't offer to teleport any baboons or cats up with you. Yes, that government lab technician is none other than Jeff Goldblum, or, more correctly said (and as his name tag indicates), Dr. Seth Brundle, the unlucky molecular physicist from David Cronenberg’s horror classic The Fly (1986).